Do you need a new vacuum? Have you wondered about robotic vacuums? What do you think about coming home to clean floors every day? Many people would like to have the funds to hire staff to keep their homes tidy. Instead of that, one of the models designed by Neato Robotics Connected can help a great deal. Neato Botvac Connected Review – What’s In The Box? 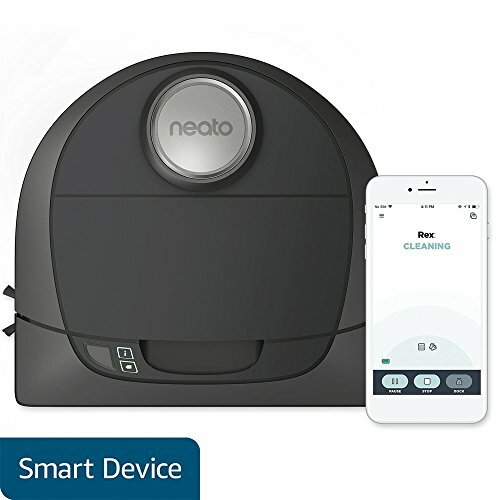 Along with your Neato Botvac Connected equipment, you will also receive the Neato Botvac Connected App “Smart Life” which allows you to access your vacuum remotely from your smartphone. With Smart Life technology, you can even use Google Assistant, Amazon Alexa, Google Home and others with voice commands. You can start, stop, schedule, or receive notifications about your vacuum with this fantastic app in English or German. 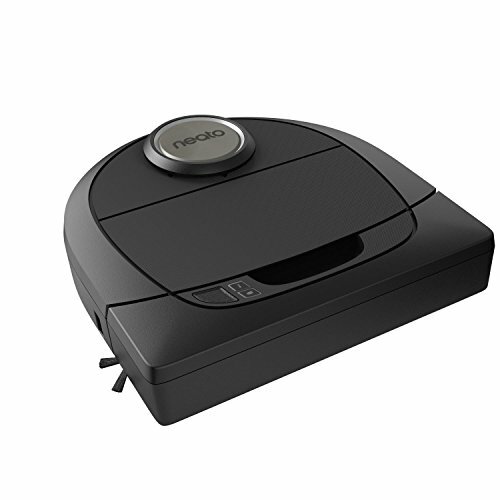 As with all robot vacuums, the Neato Botvac works best on hard surfaces. However, it does do a nice job of giving you that “just vacuumed” look on carpeting. It has a turbo charge mode for the deep cleaning necessary to get dirt and dust particles that have settled in deep, shaggy carpeting as well. 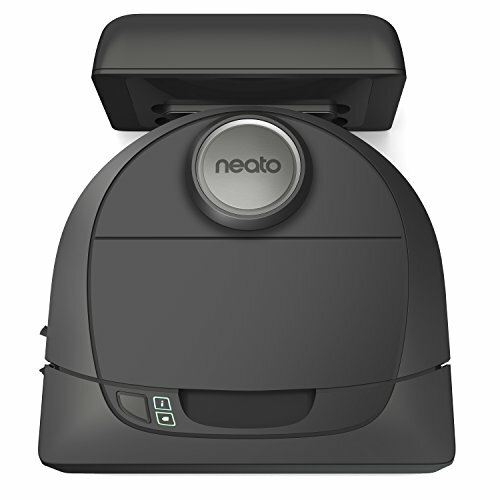 In a further improvement over iRobot Roombas, the Neato Botvac has no problem cleaning a dark color of carpeting. While this may sound silly, the robotic vacuums are designed to reflect light off surfaces to tell where they are. When light doesn’t reflect off dark carpeting, the robot will think it’s about to fall (stairs, balcony, etc.) and will turn away or simply not move. The Neato Botvac has advanced technology that overcomes this discrepancy, so will work beautifully on floors with black carpeting. The Turbo mode is a bit loud so you may not wish to sit in your living room or bedroom when the Neato Botvac is cleaning your carpeting there. Also, the vacuum cannot automatically sense changes in flooring levels and will have to be told to use Turbo or Eco (quieter) mode. The Turbo mode has the extra suction it needs to deep clean carpeting. That is the only advantage this reviewer has found which the iRobot Roomba 980 has over the Neato Botvac Connected D7. How to setup Neato Botvac Connected? You will want to set your default settings initially before using your Neato Botvac Connected. Using the LCD on your robot, you simply tap the Select button and choose Preferences. After doing so, the screen g ives you a list of items you can change. Options include such things as a 12-hour or 24-hour time format; sound or no sound for wake-up, start cleaning, cleaning complete or error; an alert when the dust bin is reaching capacity; or no alerts at all. Next, you will want to choose a home for your Neato Botvac Connected. It needs to be placed against a wall, near an electrical outlet with three feet of open space in front of it to allow for successful docking. You’ll get best results when placing the charging-base three feet from an outlet and three feet from a doorway. The robot needs to be able to “see” the charging base from various points in the room. Therefore, do not try to hide it under furniture, etc. Also, avoid placing it in direct sunlight. If you have thick carpeting, check to be sure the base does not tilt as this can be problematic for docking. 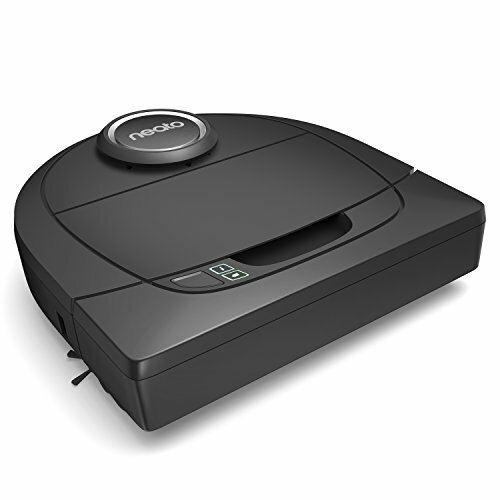 Set your robot’s clock and select scheduling when you want your floors cleaned. Follow instructions to set up your robot to Wi-Fi on your smartphone (covered next). On your iOS or Android smartphone, download the Smart Life app and create an account. Verification will be sent to your email and, once verified, your account is ready to use. Going back to your app, you are now ready to sign in and connect your robot to your device. Press the “connect your robot” button. Select the robot model you are connecting. Make sure your Neato robot’s Wi-Fi is turned on. On the LCD screen of your robot, press the Select button, then use the arrows to scroll down to Settings. Select Wi-Fi and be sure the box beside it is checked. Return to the robots home screen by pressing the Back button three times. Look for the Wi-Fi icon located in the upper left corner of the LCD screen. This indicates the robot is setting up a temporary network for your phone to connect to. Return to the app and tap Next. Now you’ll connect your phone to the robot’s temporary network. In your phone’s Settings, choose Wi-Fi and the network that begins with Neato. This will connect your phone to your vacuum. Once connected, return to your phone’s home screen, open the Neato app and tap Next. Choose the 2.4 GHz network. Select the network, enter your password, and tap Done. Now you can name your Neato robot and tap Done again. Back on your robot’s LCD, you’ll see a blinking “x” where your Wi-Fi icon was a moment ago. This means your robot is attempting to connect with your network. Once it is connected, it will change to blinking bars letting you know it is attempting to connect with the Neato server. When the bars stop blinking the network connection is complete. You will see a “Robot Setup Successful” message on the LCD screen. You are now ready to use your Neato Botvac from your smartphone! Congratulations! 1) Remove the protective films on your robot, and it’s charge base. 2) Plug the charge base into an electrical outlet no more than three feet away. 3)Your robot may have an on/off switch in the bin area if it does be sure it is turned to “on” before replacing the bin. If it doesn’t have a switch there, follow these steps: use a screwdriver, open the battery doors, then connect the batteries using the Quick Start Guide. 4)Place robot on the charger. When the status light turns green is it ready to use. It is recommended to allow your robot to charge overnight before its first use. After three complete cycles of “charging and cleaning-until-recharge,” your robot’s batteries should be at their maximum capacity. Should you find yourself having connection issues, it is simple to reconnect your Neato Botvac. 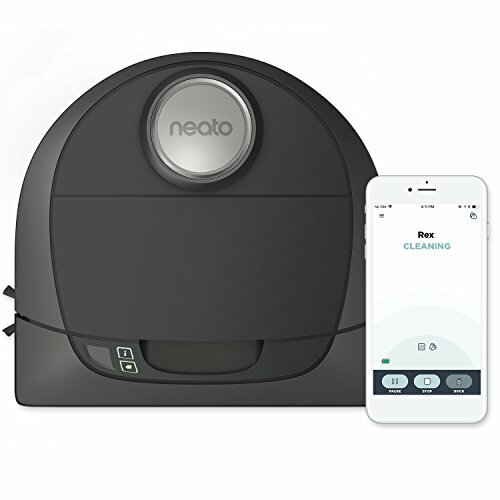 Begin by starting with a clean slate, resetting your Neato robot clears all network settings from your robot so you can connect to your home Wi-Fi network. 1. Press the right bumper in towards the body of the robot while also holding down the start button. After 10 seconds, the robot turns itself off, and the screen will go dark. 2. Turn the robot back on just by pressing the start button again. 3. To turn the Wi-Fi back on: press the Select button, use the arrows to choose Settings, then select Wi-Fi and make sure the Wi-Fi box is checked. Your robot is now in pairing mode and remains there for 60 minutes. 4. On your smartphone, open the Neato app and follow the steps to connect your robot. How to clean the Neato Botvac Connected filter? After each cleaning, you should empty the robot’s trash bin. When you do this, make a habit of also removing the filter and lightly tapping it against the trash can to remove loose. 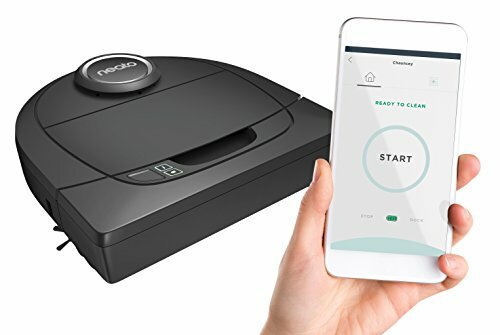 If these questions and thoughts have floated through your daydreams, let’s look at three facts that set the Neato robot vacuum apart from the competition. 1. The unique d-shaped designs allow the Neato Botvac Connected to get into corners and closer to walls than a round robotic vacuum. This enables it to get more dirt, providing a deeper clean, than the iRobot Roomba 980. 2. 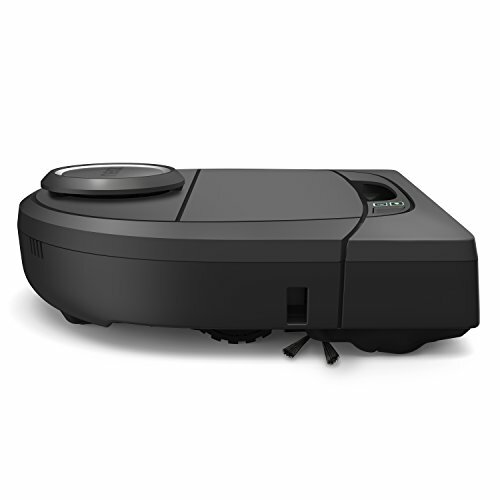 It can clean up to 4,500 square feet on a single charge where the iRobot Roomba 980 cleans up to 2,000 square feet on a single charge. 3. The latest model, D7, costs at least $100 less than the iRobot Roomba 980. 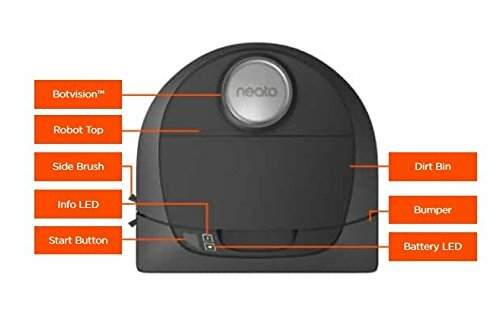 Neato Botvac Connected is a good robot vacuum cleaner, especially if you have pets and like deep cleaning of all your floors. Household-Robots.com is a review website offering reviews of the best household robots avaliable. 2018 Household-Robots.com All rights reserved.